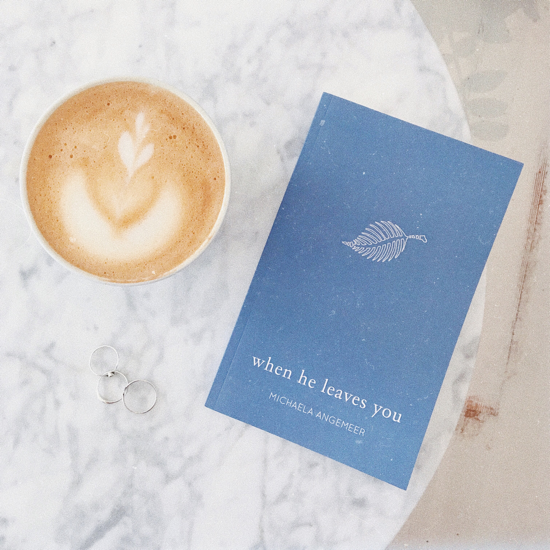 When He Leaves You is a collection of short poetry and prose, biopsied with tears and red wine. It dives into themes of love, loss, a connection to water, and never forgetting what it means to be alive. Separated into six sections: Childhood, Him, Everything Is You, Over, Repairing, and Perspective, it takes you on a journey to find a new outlook. My copy arrived on Saturday. Today was the day I actually opened it and started reading. I didn’t put it down until I had read it all the way through. I think the last time I experienced such a whirlwind of emotion in such a short period of time was when I first watched the Carl and Ellie sequence in Up. Reading this book literally took my breath away. I’m still trying to catch my breath as I write this. I didn’t know poetry could do that.